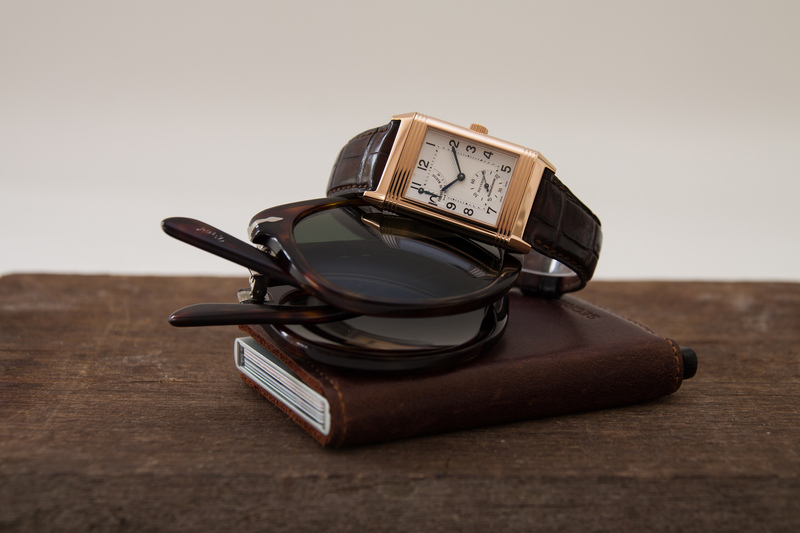 The history of the Reverso begins some 85 years ago, in the year 1931 to be exact. At that time the watch of a British polo player was damaged during one of his matches. After the match, the polo player challenged an attending Swiss businessman and watch collector to develop a watch where the glass would be safe from shocks, bumps and cracks. Once back in Switzerland, the businessman contacted the company Le Coultre and they began to have meetings on this request, they talked about the design of the case and how to best protect the glass. 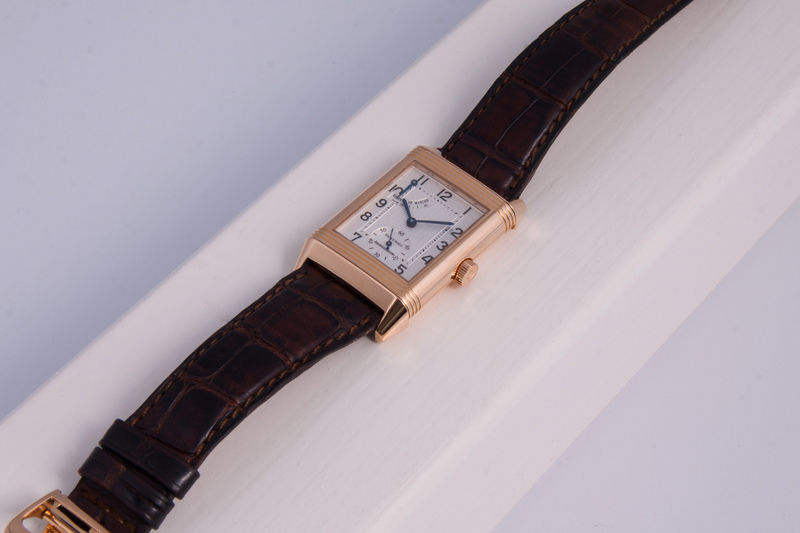 In the end Le Coultre would deliver the movement for the watch while the company Jaeger would ultimately be responsible for the innovative case design of the Reverso. Fast forward to 2017 and look here! 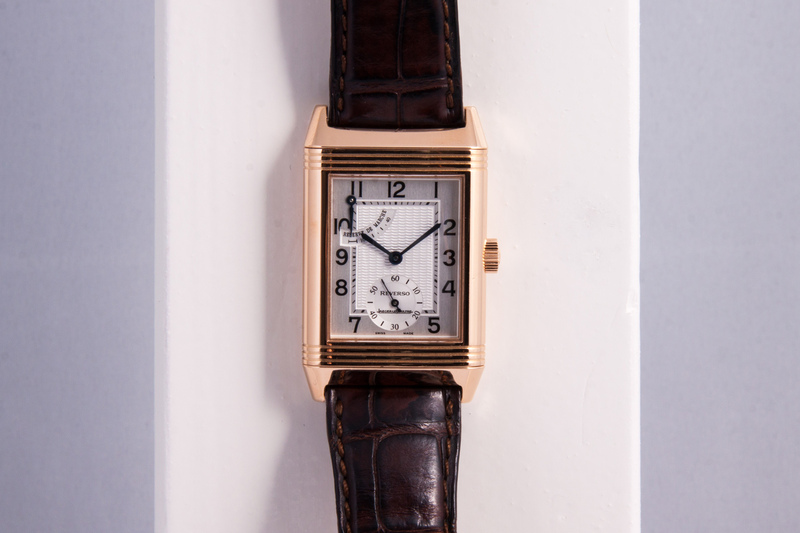 A beautiful and elegant Jaeger le Coultre Reverso Grand Taille in the 18c Pink Gold version. The Reverso has been completely overhauled in May of 2016 by Jaeger le Coultre and hereafter no longer worn, so this Reverso is in a very good condition. 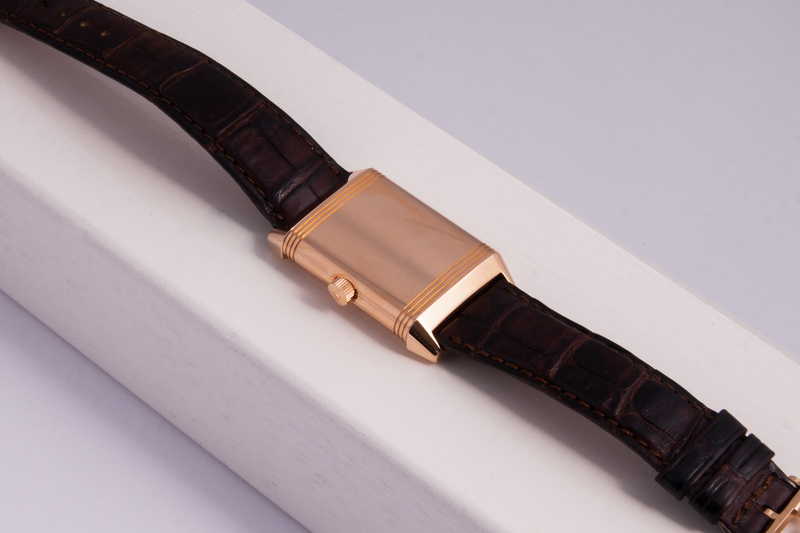 The watch is worn on a brown alligator strap fitted with an 18c pink gold Jaeger le Coultre folding clasp. The hand wound movement inside this Reverso has an additional complication called Reservé de Marche (power reserve) which is visible on the dial between the 10 and 12 hour positions. This complication allows you to read how much energy is left in the main spring before you have to rewind the movement. The wonderful silver-plated and guilloche decorated dial is like new! 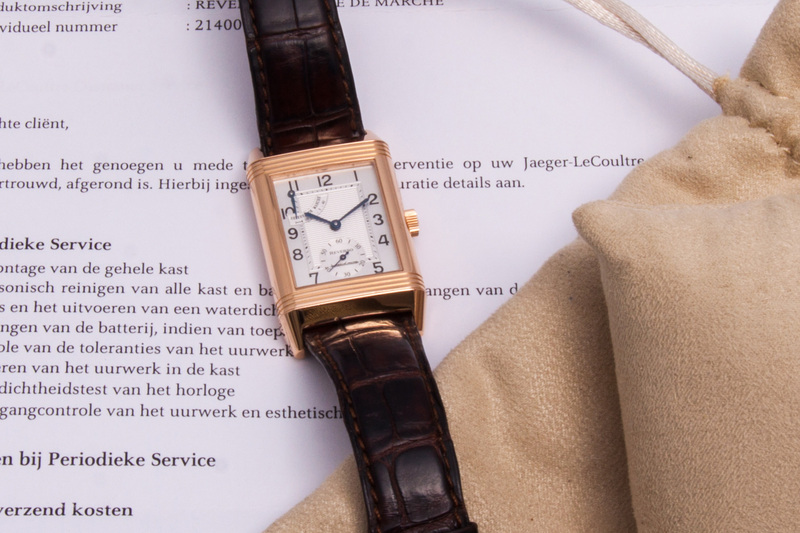 As mentioned earlier, the Reverso was completely overhauled by the highly skilled watchmakers at Jaeger le Coultre and is therefore accompanied by the JLC service papers. 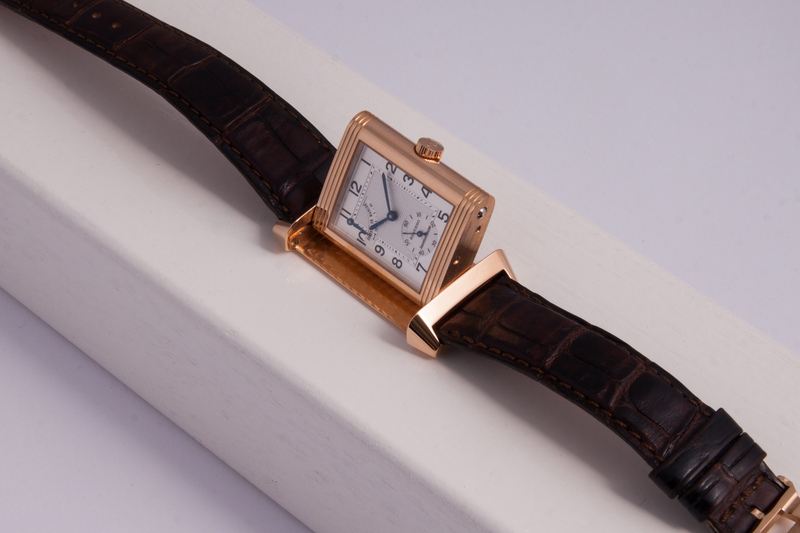 You will receive a one year warranty on this beautiful and sophisticated Pink Gold Reverso. box and papers? the watch is accompanied by the JLC service papers and the JLC service pouch.